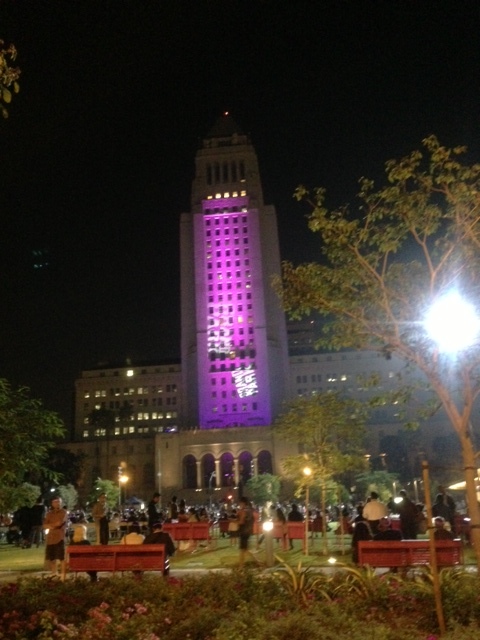 On Saturday, aerial dancers at City Hall, a choreographed dance performance in the water and a Latin jazz duo helped mark the opening of Grand Park’s final section in downtown L.A. and the Metro Red Line subway Civic Center station was right there — in the middle of the action — to drop us off at the celebration. On Sunday, the fifth CicLAvia showed us the beauty of downtown L.A. on a sunny day, when a reported 100,000 bicyclists, pedestrians and skateboarders flooded the downtown streets. The study calls it “an analysis of rider characteristics” but it has a lot to do with government policy. The success of German public transport is due to a coordinated package of mutually supportive policies, many of which have yet to catch on in the U.S. It’s a long read but the abstract and conclusion tell much of the story. The power and price of the hallowed parking spot is studied here in this fascinating piece on the world of parking, where meter maids are under siege and the tickets keep on coming.